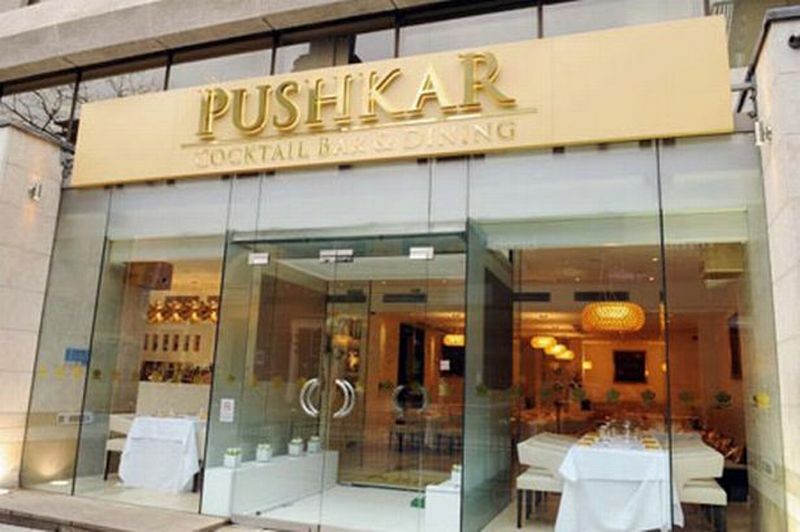 This award winning fine dining Pushkar Restaurant sits at the corner of Broad and Berkley Street under Birmingham’s Jury Inn Hotel. Known for it’s exotic Punjabi and North Indian Cuisine it’s a been a hit with spice lovers since it’s opening in 2009. Greeting you at the entrance is a full expanse of glass with a large modern conservatory style extension creeping out to the left. On entering the premises you’re engulfed by a sea of plain white walls, this clean fresh and uncluttered canvas of whites and creams allows lighting and furniture to take centre stage. The establishment features an L shaped layout with a long dining area stretching out to the back of the restaurant whilst the conservatory boasts a beautiful bar and waiting area. Again the clean fresh white backdrop allows the gold barstools, unusual bar lighting and bronzed vases and Buddha sculptures to stand out. The white walls and open glass front makes the establishment seem larger and more spacious. 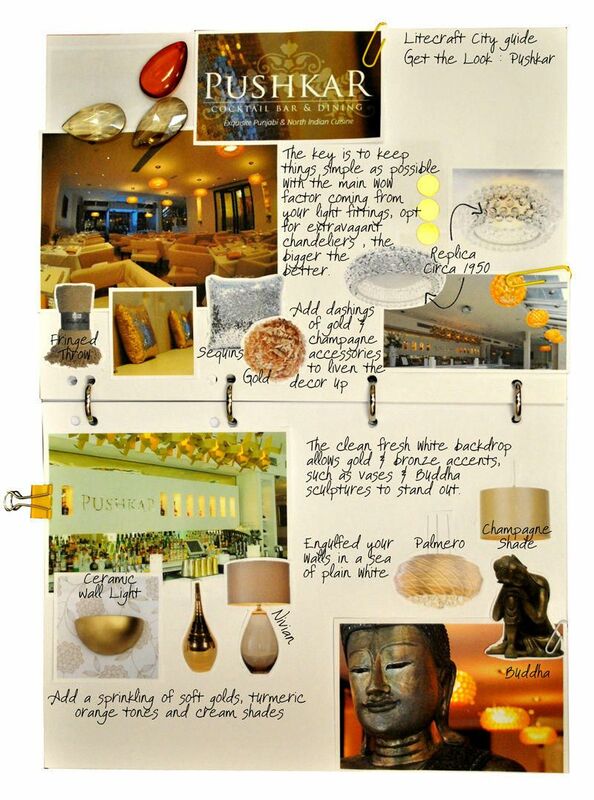 The décor of Pushkar is simple and elegant with the main focus on service and food quality, a sprinkling of soft golds, turmeric orange tones and cream shades make up the table décor and comfy leather seats whilst complimenting the ceiling fittings. 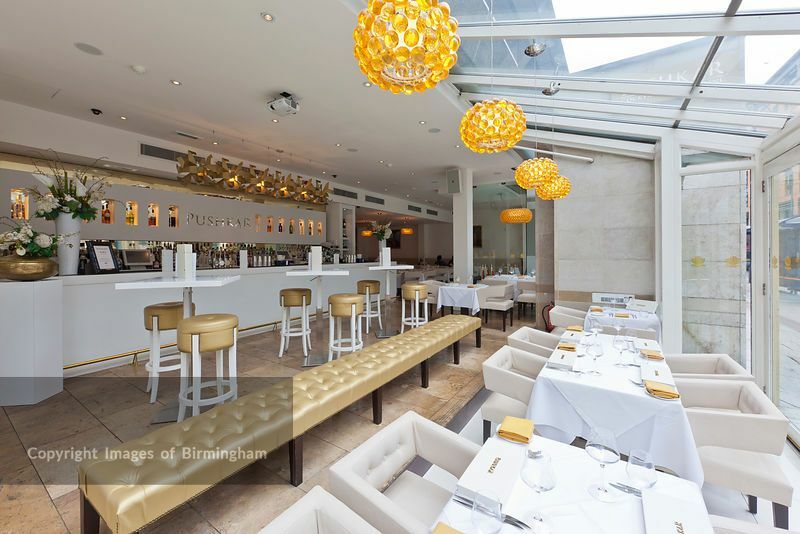 Spotlights litter the ceiling giving an even ambience across the whole establishment whilst exotic pendants boasting amber glass spheres are precisely suspended above each table giving a direct and intimate pool of light. This look is easy to recreate, just keep walls plain and uncluttered. Add dashings of gold and champagne accessories to liven the décor up, the key is to keep things simple as possible with the main wow factor coming from your light fittings, opt for extravagant chandeliers, the bigger the better.